Despite only being a "G" designated lens, rather than a more expensive "GM", the new Sony FE 24-105 f/4 G OSS is certainly one sharp optic, both through the focal and aperture range. Compared to the Sony FE 24-70mm f/2.8 GM, you lose an aperture stop, but gain some very useful extra reach, save some weight, benefit from built-in OIS, and pocket an awful lot of change - just over £1000 / $1000 to be precise - whilst offering very comparable image quality, build and performance. Unless you really need f/2.8 rather than f/4, which admittedly is pretty compelling once you've tried it, then we'd definitely recommend the new Sony FE 24-105 f/4 G OSS for most photographers. Compared to the FE 24-70mm F4 ZA OSS, which is a little smaller and lighter, we'd again recommend the new Sony FE 24-105 f/4 G OSS because of the extra reach, although being a brand new product it is slightly more expensive than it's older sibling. 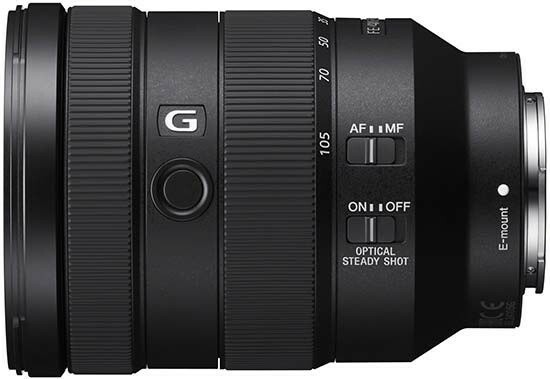 perhaps the elephant in the room from Sony Inc's pint of view is the excellent Sigma 24-105mm F4 DG OS HSM, which is substantially cheaper than the FE 24-105 f/4 G OSS, even when you factor in the cost of an MC-11 adapter to go with it, although it is as big and heavy as the Sony FE 24-70mm f/2.8 GM. Overall, we really like the new Sony FE 24-105 f/4 G OSS. It's a well-thought out, well-balanced and well-executed standard zoom lens that will satisfy a lot of people's needs at a price that isn't too eye-watering. Overall, highly recommended!